Situated on the eastern edge of Oregon’s formidable Cascade Range, Bend and the surrounding region enjoy a comparatively sunny and dry climate, as well as breathtakingly photogenic high-desert terrain. 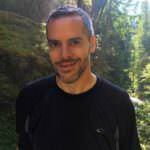 This fast-growing city of about 81,000 residents has rapidly become one of the top outdoor recreation hubs in the Pacific Northwest, drawing hikers, rock climbers, river rafters, anglers and cyclists during the warmer months, and skiers and other snow-sport enthusiasts throughout winter. Bend is also a hotbed of craft brewing, with some of the state’s most acclaimed producers of IPAs, porters, red ales and other favorites. You’ll find a wealth of sophisticated yet casual farm-to-table restaurants and ethnic eateries in downtown Bend, as well as a lovely park that fringes a wide stretch of the Deschutes River known as Mirror Pond. In just about every direction you drive from Bend, you’ll encounter eye-popping natural scenery. Iconic Oregon attractions such as Smith Rock State Park, Crater Lake, the Painted Hills and the Newberry National Volcanic Monument can all be visited as easy trips from the area. It’s a 20-minute drive north of Redmond’s Bend Municipal Airport to reach one of Oregon’s most visually impressive geological sites, Smith Rock State Park, a 650-acre tract of soaring rock spires bisected by a meandering river. Experienced rock climbers flock here, but it’s also a rewarding destination for a light hike and perhaps a picnic lunch. 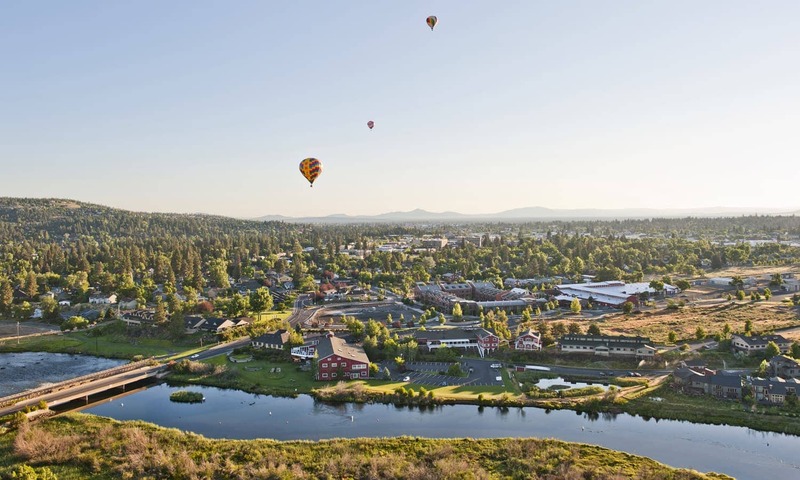 Later in the afternoon, drive to the beautiful city of Bend, which is known for its lively downtown of foodie-approved breweries, cafes and bistros. On the outskirts of town, Crux Fermentation Project has become a favorite stop for fans of complex beers created using such unusual methods as open fermentation and adding wild yeast strains or little-known varieties of hops. Crux produces some of the most distinctive ales in the state, from farmhouse-style saisons to zesty IPAs. In the heart of downtown, at long-running Deschutes Brewery, you’ll find both tasty pub fare — try the elk burger with brown-sugar-chipotle mayo — and an extensive menu of classic Oregon-style craft beers. The Pinedrops IPA imparts the piney notes of the region’s verdant forests, while the Twilight Shandy is a refreshing combination of Twilight Summer Ale and locally brewed Humm Kombucha. 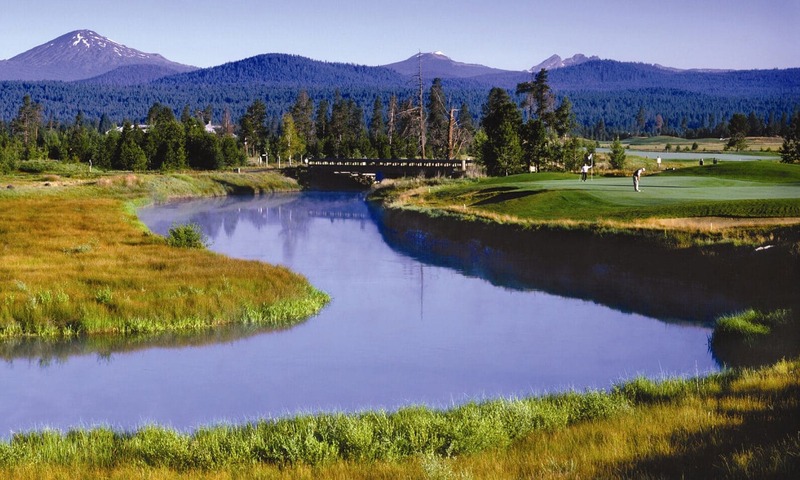 Spend the next three nights at the foot of the Cascade Range at luxurious Sunriver Resort, one of the state’s premier playgrounds for golfing, skiing, rafting, horseback riding, spa treatments and fine dining. Set along the Deschutes River just a 25-minute drive southwest of Bend, it’s also a relaxing base for partaking of the area’s many recreational activities. From Sunriver, you can easily explore the ancient — and dramatic — geological forces that have shaped Central Oregon’s mesmerizing landscape. Begin your day with a visit to nearby Newberry National Volcanic Monument and Lava Lands, a massive, starkly beautiful 54,000-acre expanse of crimson and black lava fields and basalt formations punctuated by rippling lakes. You can drive to the rim of the 500-foot-tall Lava Butte cinder cone and gaze into its volcanic crater, and trek through the fascinating 1-mile-long Lava River Cave (lantern rentals are available at the park visitor center). It’s just under a two-hour drive south from Lava Lands to reach spectacular Crater Lake National Park, the deepest body of water in the United States. This crystal-clear, sapphire-blue lake has formed inside the caldera of Mt. Mazama, a volcano that exploded in spectacular fashion some 7,700 years ago. 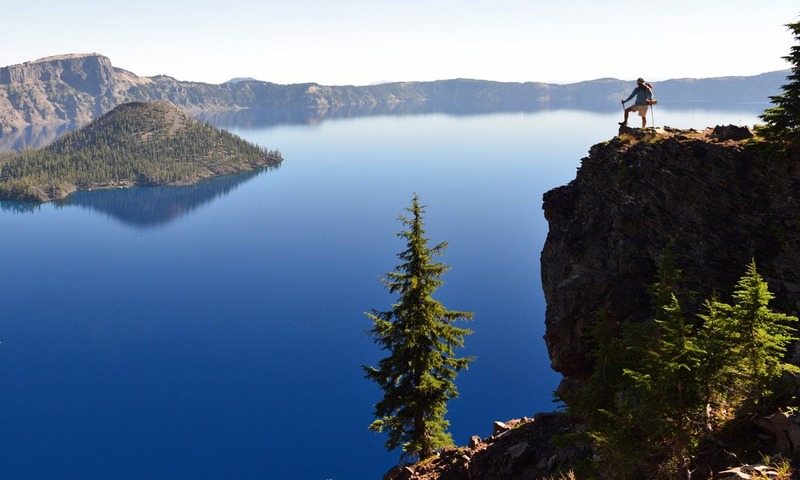 Make the 33-mile auto tour around Rim Drive, where you’ll encounter numerous scenic viewing points that offer awesome photo opportunities, and have dinner at the grand 1915 Crater Lake Lodge. The restaurant overlooks the lake and has a terrace with dazzling sunset views, and the kitchen specializes in locally sourced Northwest fare, including a blackberry-marionberry-raspberry cobbler that’s justly famous. Stay at Crater Lake Lodges for the night. 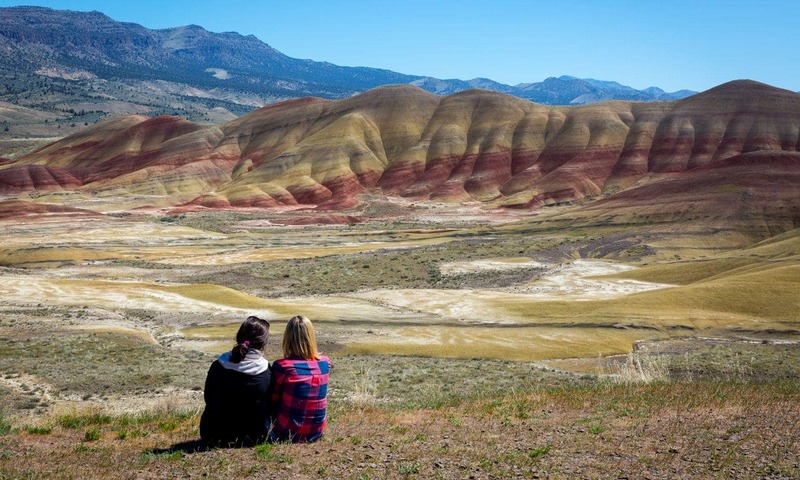 Set out early in the morning for the two-hour drive on U.S. 97 and U.S. 26 to the Painted Hills, the most picturesque section of the John Day Fossil Beds National Monument, at which fossils dating back more than 33 million years have been found. You can soak up impressive views of the hills — which are layered dramatically in shades of auburn, red, brown and black — from the rugged but short Carroll Rim Trail. Return to Sunriver Resort to enjoy the grounds before setting out in late afternoon for a canoe paddle along the curving Wild and Scenic Deschutes River. You can rent equipment at Sunriver Resort Marina, which is open daily during the warmer months until 4 p.m. Depart Sunriver for the Bend Municipal Airport, which is 45 minutes north. You’ll pass through Bend, which has plenty of great breakfast and lunch options.